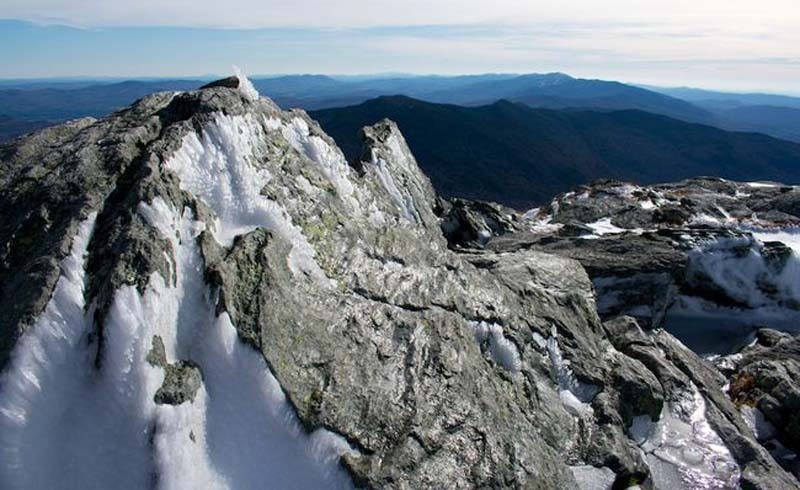 Vermont is one of those states that has great hiking all year round, including in the winter months. In fact, the fresh snow brings a nice sense of beauty and solitude to the trail, making it a perfect time to explore the backcountry on foot, cross-country skies, or with snowshoes. Just be aware that conditions can change quickly, so be sure to dress in warm layers, bring extra food and water, and let someone know where you're going before setting out. Those are important rules to follow at any time of the year, but in the winter they can be especially important. If you're the kind of hiker who doesn't want to wait until spring to get back outside, we have five can't-miss trails that you'll want to explore this winter. So layer-up, put on some warm boots, and get hiking. You'll be glad you did. 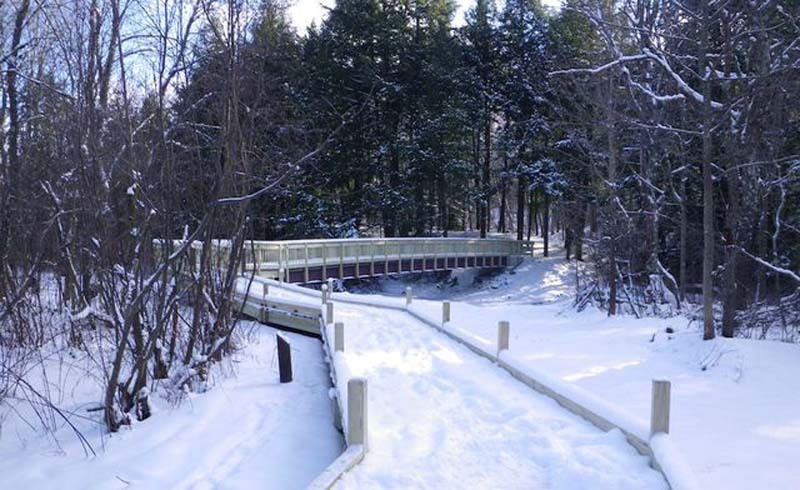 While only a little over a mile in length, the Robert Frost Wayside Trail is definitely worth a walk during the winter months. The route prominently features several of the poet's more famous works throughout its length, allowing hikers to stop and appreciate his words in a place that supplied plenty of inspiration for Frost's writing. During the warmer months, the trail often sees heavy traffic, but in the winter it is not unusual to find few other hikers braving the snow and the cold. While it is an easy walk, it can be a moving one, with Frost's eloquent words imprinted on placards guiding the way. 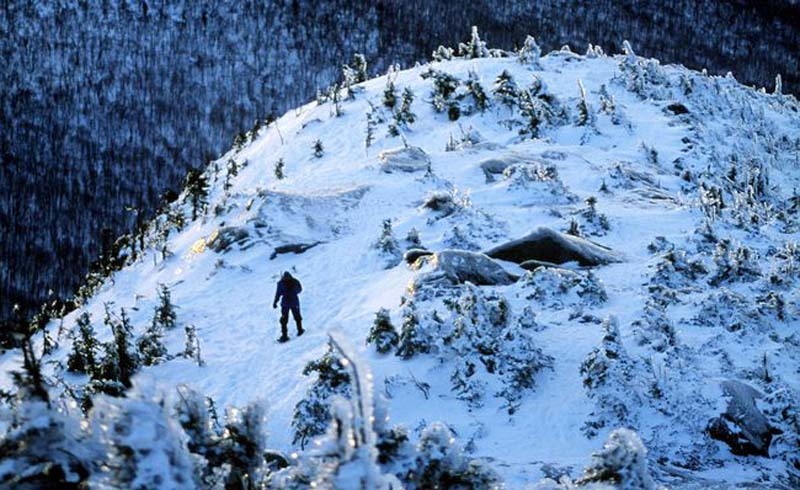 Camel's Hump is the third highest mountain in the state of Vermont, topping out at an elevation of 4081 feet. It is an approachable hike all year round, but during the winter months the snow pack gives it a completely different feeling. On a clear day, the views from the top stretch out for miles in all directions, making for a magnificent payoff for those who are willing to make the trek. For an easier winter hike, take the Burrow's Trail, which sees the most traffic and is likely to have a more well worn path for hikers to follow. If you're looking for more of a challenge, and perhaps a bit more solitude, walk the Monroe Trail instead. Both eventually lead to the summit, but offer a very different experience along the way. If you want to get your heart pumping (and stay a little warmer) on your winter hike, try the Spruce Peak Trail. 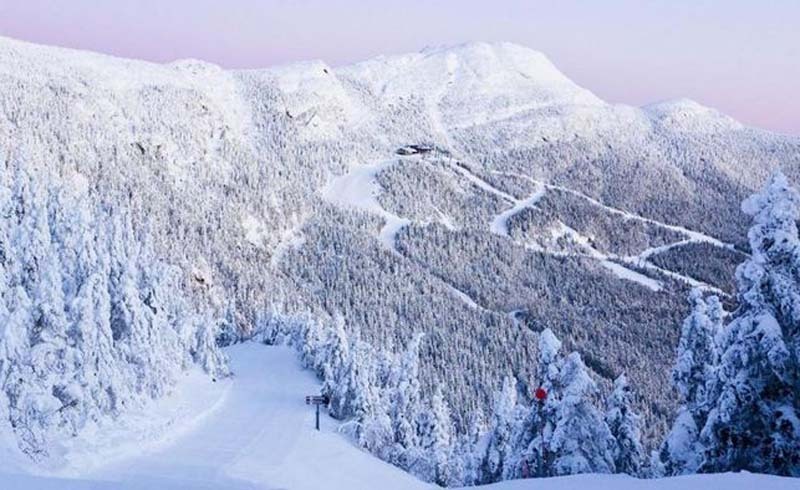 This 4.8 mile path is part of the Stowe Mountain Ski Resort, and wanders steadily up the side of resorts namesake peak, providing a good workout along the way. While generally a moderately difficult hike, the final push to the top gets a bit steeper, although not so serious as to cause concern. Those who make it to the summit are treated with spectacular views of the surrounding region, including a look over the ski resort itself. Lye Brook Falls is one of Vermont's tallest waterfalls, making it a popular destination-hike during the warmer months of the year. In the winter, the falls tend to freeze solid, making them no less spectacular to witness, although fewer people brave the weather to actually go out and see them.. The route to this iconic landmark features steady climbing over the first few miles, passing through a thickly wooded forest while en route. 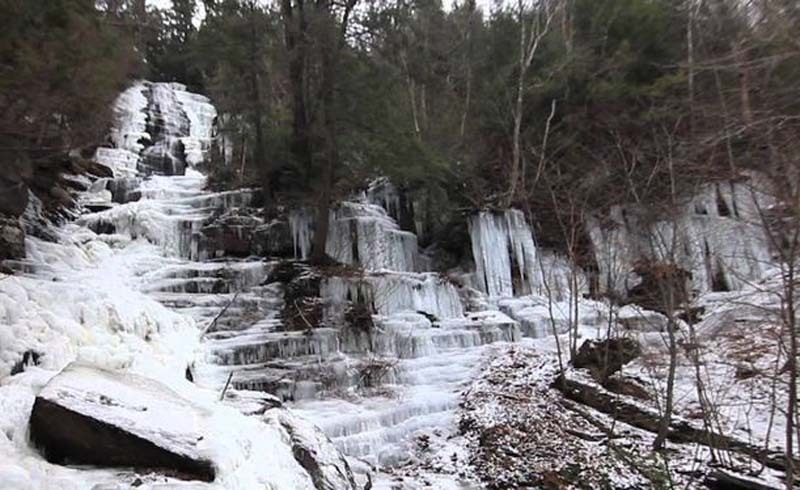 Eventually the path takes a detour down a 1.8 mile long spur trail that allows hikers to wander up to the falls themselves, which have turned into thick icicles by midwinter. Many people don't realize it, but Vermont is actually home to the oldest long distance hiking trail in the entire U.S. The Long Trail runs for more than 270 miles across the length of the state, and offers an additional 185 miles of side trails to explore along the way. The route is fully accessible during the winter, although it is not groomed in any way, making it a challenge to break trail as the snow piles up. Those looking for a great day hike will find plenty of opportunities to explore short sections of the Long Trail, which is accessible in dozens of different locations across the state. 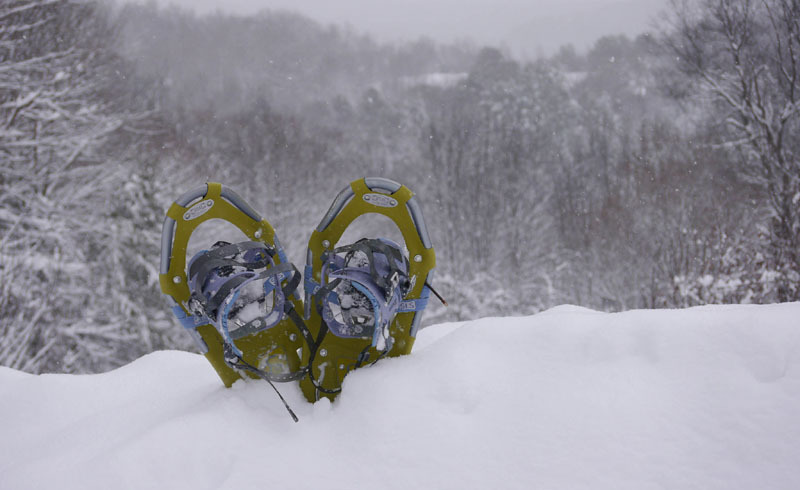 The more adventurous can elect to thru-hike the entire route, provided they are experienced winter camper, have the proper gear, and are adequately prepared for the elements. Such an endeavor is not to be taken lightly however, as Vermont winters can be harsh and dangerous at times. Still, for a cold weather adventure unlike any other, this is a compelling challenge to keep on your radar. For an excellent day hike, try the Stratton Pond out-and-back route. At 7.8 miles, it provides a good distance and a reasonable challenge for anyone looking to stretch their legs in the colder conditions.